Hiya lovelies! Hope you're all doing well! I have a review of a product I'm quite excited about today. I recently received an email from Sarah, who owns a company called Fillanew, a new small cosmetics company with a difference! 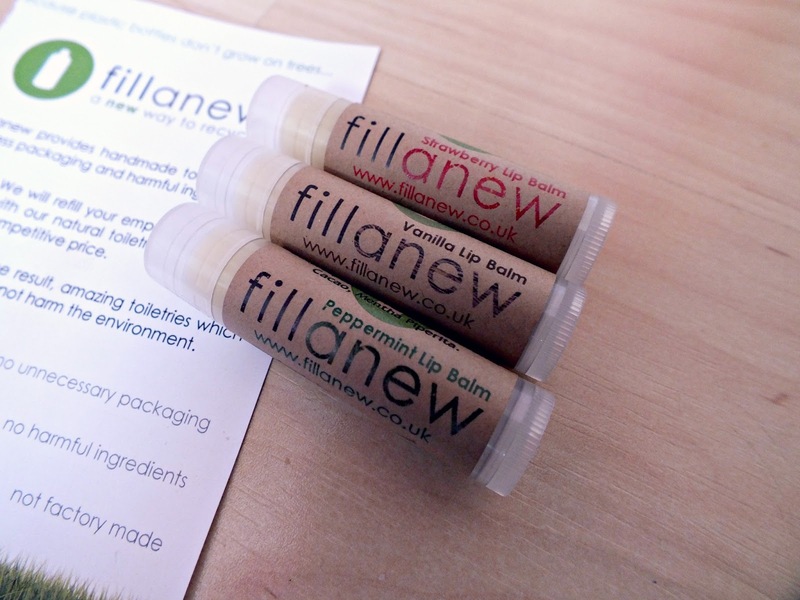 "Fillanew is an environmental company that provides handmade cosmetics without excess packaging and harmful ingredients." Their aim is to reduce the amount of packaging that is disposed of as a result of using beauty products everyday. They are currently in the process of product development. They are currently working on making these lip balms refillable, along with a range of shampoos and conditioners, which will be refillable too. So you will be able to send your empties back to the company, to have them refilled. I think this is an incredible concept, particularly for those who care about the environment! When you think about the amount of packaging we throw away when it comes to beauty products, it really is quite shocking (empties posts anyone?)! As for the actual products themselves, these are really lovely lip balms. I was sent three flavours, Peppermint, Vanilla and Strawberry. They'd sold out of the fourth flavour, orange, but this should be available to purchase on the website again soon I should think! The quality of the lip balms is just lovely, the consistency is perfect for a stick balm, they're not too soft so they're not going to melt on you, but they're not too solid either. They feel really buttery on your lips, making them smoother and hiding any chapped bits, but don't feel as though they're going to slide right off, this along with the fact that they are colourless, makes them an absolute dream to apply under lipstick. I need a good healing lip balm as my lips get chapped and sore very easily if I don't wear one and these have been perfect. The ingredients are all listed on the actual balm itself and the font isn't super tiny - which means a short list of ingredients, and none with scary long names. Something like this is perfect if you're anything like me with super sensitive lips that need extra TLC at all times. The balms smell gorgeous, but don't actually taste of anything, which I actually prefer as I find I just lick it all off if it tastes good - not good for the lips! Overall, I totally love and recommend these lip balms if you like handmade products with all natural ingredients, or even if you just fancy a fab new lip balm! These balms retail at £1.99 each and shipping is only 99p - total bargain and definitely worth a go! What do you think of the Fillanew concept? Let me know! These look lovely, I'm all for a good cause always a plus if they are great products too. 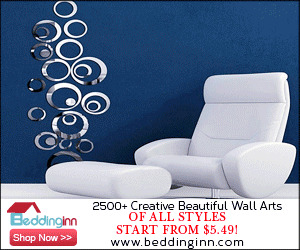 Will definitely check the website out. It's nice to see a brand that's so environmentally conscious, I'm sure they'll get lots of support from bloggers! need to look into these! I am a lip balm addict! they look like chocolate mousse! i am a lip balm hoarder i would love to try them!